Jennifer Janowski is Segment Leader of Women’s Health Ultrasound for GE Healthcare. 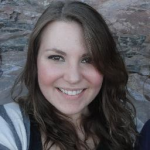 She is a long-term GE employee with roles in marketing and product management. Jennifer was also part of one of the GE Leadership Programs and has taken on leadership roles with GE’s People with Disabilities Network. 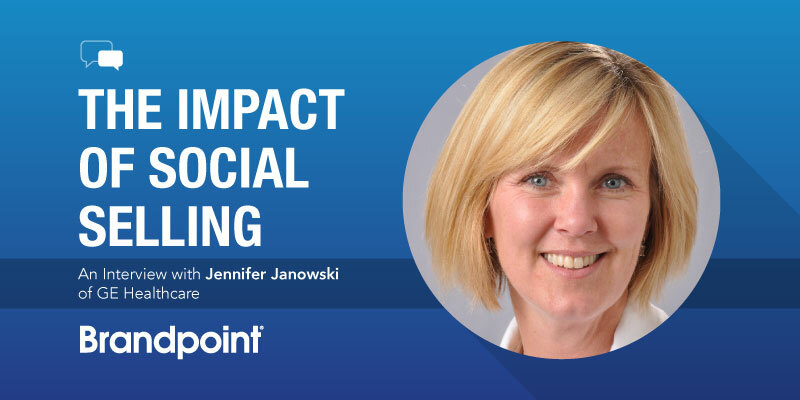 Jennifer has been transforming the way her team uses social media to connect, build relationships and drive sales. 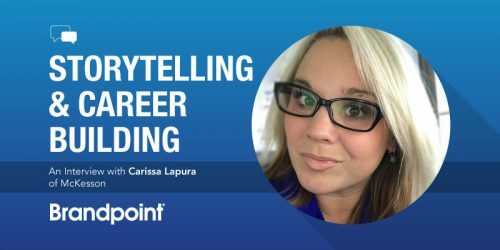 She provides an inside look at this work, plus shares her experiences at GE. What is the most interesting or career-changing project that you have worked on? One of the more interesting projects I undertook with my last role was creating a new business model for a future product. It was a heavily cross-functional, global effort that required significant change and long-term investment from the business. In a quarterly driven culture, that is incredibly challenging and eye-opening. It would be too easy and more than a little cliché to say “budget,” so as much as I want to, I won’t. Honestly, though, I think it’s managing the distractions and influencing change to manage those. There’s dysfunction in every organization and when you are matrixed and cross-functional, actualizing change is difficult. You’ve been with GE since 2002. How has your work changed with the evolution of content and digital marketing? This has been a big focus of mine since I took on this role nearly a year ago. My goal was to make this a reality for our business. GE is a big company with a lot of tools and capabilities and in some spaces, we were severely underutilizing our capabilities. I didn’t even become a member of LinkedIn until 2007. In 2002, marketing for us was definitely more about brochures, PowerPoint, direct mail campaigns and tradeshows. Tracking was largely manual and difficult. Customers and the world around us have changed how they are getting their information. So if we want to stay front-of-mind, we’ve had to change our approach. What is the biggest misconception you see of social selling? “I don’t have time for that.” To me, that means people have not seen the value or the return on that time investment. So it’s up to me, to us, to help our teams understand the “What’s In It For Me” (WIFM). And I see that as my role. To be a bit of a cheerleader, share those experiences, inspire, connect folks to resources. If our team doesn’t engage, we won’t be as successful with our campaigns and therefore, the business suffers. Where do you begin with implementing a social selling curriculum in a large organization? How does the process differ for an SMB? You have to start by selling the sales team. No joke. GE has amazing training resources like Crotonville, so I connect with our Crotonville team who put me in direct contact with the third party group they used — Forward Progress. I was proposing a couple of options. What we ultimately agreed on was a pilot approach where I recruited sales team members from Women’s Health (my business) and the rest of the Ultrasound sales team in the U.S. I’ll admit that some of the 34 pilot members were volun-told, but we still had great engagement. Our second class was all voluntary and we reached nearly 50 members, even turning away some late-arriving members. How did helping the GE team build its individual profiles, networks and content impact sales? I think we’re still seeing that build out. We’re only three months into our journey. We have some success stories already. Our business is one where customers nearly always have a live demonstration of our product. Especially for our premium products. Our clinical sales manager in the Northeast had LinkedIn with a potential customer. And then within a few weeks, was demoing our product in front of this doctor. They already had an opportunity to meet each other virtually and establish credibility. The demo went very well and we closed the business. Would that have been possible without LinkedIn? I hope so, but relationships and people are still part of the equation. It certainly helped to build rapport. Do you think content and digital communication can replace the sales cold call? No. I think it’s a terrific supplement. There are social media holdouts. And that’s OK. We need both, at least for now. Beg for forgiveness. In the era of digital, we need to move fast. And I say this a bit tongue in cheek because I am part of a business with medically regulated devices and there are definitely rules to follow. It’s critical to gain an understanding of those rules and figure out where you can go fast and where you may need more checkpoints. And when you have those situations, plan ahead and get the program ready so you can be ready to go. Catch Jennifer present at the Social Media Strategies Summit in New York on Oct. 12.